Convergence. Everywhere we turn we hear about it – trade magazines, technical reports, there are even entire conferences dedicated to it. But what exactly does it mean, and how will it affect churches, ministries, and those of us in the Christian media world? Simply put, “convergence” means looking at a single box. Depending on who you talk with, sometime in the next three to five years, information resources such as computers, and entertainment resources like television will merge into a single unit. In essence, we will be able to surf the web, do our computing, and watch the latest television program, all on the same piece of equipment. • The local video store will be a thing of the past – we can download any movie in existence as easily as downloading our e-mail. • We can finally make television programs truly interactive. • We can video conference anywhere on the planet. • We can add web hyperlinks into television programs to help people find out more information about any subject by accessing the web. • We can find out immediate and accurate information about who’s watching particular programs and why. • Literally millions of music, movie, television program, website, and other entertainment choices will be at our fingertips. • The list goes on and on. Right now, numerous Hollywood studios, television networks, multimedia companies and others are working feverishly to make this concept of “convergence” happen. Websites like www.atomfilms.com are making short films available on the internet right now. Other companies like www.pixelon.com and www.on2.com are trying to develop broadband video technology that will blend computers and television sets. One of the more highly anticipated new sites will be www.pop.com, created by Dreamworks which will probably be online by the time this article is released. • Develop a creative entertainment format that people will want to view in the context of a computer environment. • Develop the broadly accepted technology that will become the “VHS tape”, if you will, of the industry. The company that develops the universally accepted technology that allows convergence to happen will reap billions. As a media producer and director, I’m not as concerned about the technology as I am with how we will use it. There are brilliant people from companies like George Lucas’ Industrial Light and Magic that are working to create the technology. My interest is in how we as Christians will embrace the medium and use it to change the world. To accomplish that, I’ve created seven “Keys” that I believe we need to understand if we want to make an impact in the age of convergence. These are important principles that will help you create a more effective message within the context of this new medium, and help you cut through the clutter and advertising hype that surrounds the world of convergence. As usual, most churches want to begin with equipment and technology, but I always prefer to begin with how to tell a story. Ultimately, no matter what communications medium we choose, that’s all we’re doing – telling a story. A simple story about how God chose to become one of us and share His eternal plan with people who didn’t deserve it. As we enter the digital age of convergence, let’s spend more time learning how to tell a story more effectively. It doesn’t matter the program format; preaching, music, documentary, variety, drama, whatever- every program is telling some type of story, and until that story is told effectively, the audience is never going to be interested. This coming Sunday, thousands of pastors will step up to the pulpit without telling a single story. And yet, when you study the life of Jesus, that’s just a-bout all he ever did. He rarely lectured or preached- he mostly told stories. Stories that touched people, and changed their lives. There’s no question that our storytelling abilities will be greatly challenged and expanded with the advent of convergence. The ability to criss-cross between the internet and a television program, or add a hyperlink to a movie, or integrate moving video into websites, will allow us to tell our stories as never before. But don’t allow links, transitions, and other gimmicks to distract us from the need to tell a story. Essentially, it hasn’t changed from the time Hebrew storytellers sat around campfires in the desert telling the stories that became the Old Testament. The medium doesn’t matter as much as the message. In the coming age of convergence, let’s make a new commitment to storytelling, and understand that unless we can tell a powerful story, our chance of reaching an audience is terribly diminished. I find a remarkable number of pastors, evangelists, and church leaders are out of touch with today’s culture. Don’t believe me? Go on the web and use a search engine to find Christian youth sites. You won’t believe the terrible websites you’ll find. Some have excellent resources for young people, but their graphic presentation is so out of style, no young person would even consider looking at the site. Producers often don’t keep up with current programming and graphic styles, and I’m amazed at the number of Christian media professionals who never even watch television. If we’re going to make an impact in this culture, we have to understand what makes it tick. Just as Paul in Acts 17 used his knowledge of Greek literature and culture to establish a “common ground” with the philosophers at Mars Hill, we need to understand the music, literature, films, and television that this culture creates. Otherwise, they will continue to believe that our message is irrelevant and unimportant. Remember, when it comes to the age of convergence, it’s not worth doing if it’s not done in a style and language this culture understands. 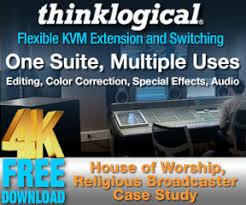 Most Christian producers are plagued with a lack of funds for media production and equipment. Television, for instance, is probably the most expensive outreach your church or ministry will ever encounter, and poor decisions regarding financing can literally destroy an entire ministry organization. I always recommend that you have six months of funding in the bank before you ever began a media outreach. On most cable systems today, there a minimum of 70 plus channels, so it takes between six months to a year of broadcasting before your program begins to establish itself with your audience. In the world of convergence, the number of “channels” are potentially endless, and the competition is even greater. That means it could be years before you receive any significant prayer or financial support from your audience- they simply need time to find the program! Therefore, it’s critical that you be able to fund your program at least during that first year, or your media ministry will never have the chance to make an impact. The unexpected is often the most exciting and effective answer! In Hollywood, millions of dollars are spent every year on “pilot” programs; many of which never see the light of day! The major studios and networks understand that audiences are always changing, so they aren’t afraid to experiment and update programs and program ideas. But most Christian programs are doing the same thing they did 10-15 years ago, and most Christian websites rarely get updated. In the age of convergence, the most successful media ministries will be ministries who aren’t afraid to change, update, and present a fresh, new approach to an ever-changing audience. Key #5 – Don’t Forget Creativity! An advertising executive once said “Creativity is like shaving – if you don’t do it every day, you’re a bum!” Exercise those creative muscles… and do it on a regular basis. Don’t take the easy way out, either in sermon preparation or program production. Personally, I don’t buy into the theory that only some of us are born “creative” and others aren’t. I believe that anyone can be more creative, it just takes practice, and a willingness to forgo the “easy” way in order to be open to new and creative ideas. When an audience has the option to view literally millions of “channels” in the age of convergence, creativity will be a strong element in bringing them to you. Preaching is a wonderful thing, and there will always be room in Christian media for good, solid preaching. But one of my greatest disappointments in Christian internet sites are churches and ministries that just fill the site with video and audio clips of sermons. 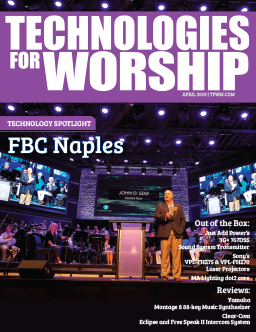 We already know that Christian television has largely been a depository for videotaped sermons, but keep in mind that a church service doesn’t necessarily make the best television program. Just like a light bulb isn’t a candle you plug into a wall, a car isn’t a horse with wheels, and a television isn’t a radio with pictures, an effective television program isn’t necessarily a church service that’s been videotaped. When you’re in a church service or evangelistic event, you can feel the electricity of the crowd, you can see the emotion and intensity of the speaker, and you can experience the live event with the enthusiasm and excitement of hundreds or thousands of other people. However, when you watch that same event on television, you’re often sitting alone in a room, watching it on a “glass box” ten or fifteen feet away. You’re probably also having a meal, talking with friends, or reading a book or magazine. Believe me, it’s not the same experience. In fact, it’s such a problem, advertisers call it “cutting through the clutter,” which is the ability to create programming that cuts through all those distractions and makes an impact on the audience. Also, don’t forget other wonderful program ideas- (that are remarkably absent from Christian media) – documentaries, movies, children’s programs, news, animation, music, and other formats. Remember, the secular networks spend millions of dollars to find out what audiences will watch, and if you check the latest prime time schedule, it’s filled with movies, episodic dramas, and situation comedies; there’s not a preaching show among them. The reality is: the secular networks are not biased against Christians, they just want to make money (and would probably sell their grandmother to do it). The secular networks profit from selling advertising time, and if they felt preaching shows drew an audience, they would have them in prime time. But they know the power of story based programs, and fill the television schedule with that format. Many Christian churches and ministries don’t understand the need to produce high quality media outreaches. Today’s audiences are more technologically sophisticated than ever, and refuse to watch programs that aren’t up to current standards of quality. Remember my earlier comment about most cable systems having at least 70 channels? The unlimited channel universe is not far around the corner with the advent of convergence. In that environment, it’s just too easy to change the channel or website if the picture, graphic style, or audio quality isn’t satisfying. Always remember: stewardship isn’t necessarily saving money, it’s using money more effectively. Sometimes that means spending more money to purchase a better product that will help you reach your goals sooner and more effectively. Many churches and ministries purchase cheap equipment in order to save money, but soon discover they should have waited until they could afford better quality. Don’t let your desire to get on radio, television or the internet push you into getting low quality or inferior equipment. After all, you can’t reach the lost if they won’t watch long enough to hear your message. Quality not only involves equipment, it involves people as well. If you gave the finest computer in the world to the average person in your congregation, he or she still wouldn’t be able to write a best selling novel. You need to bring the best media professionals you can afford to help you with your television ministry. Where do you find them? 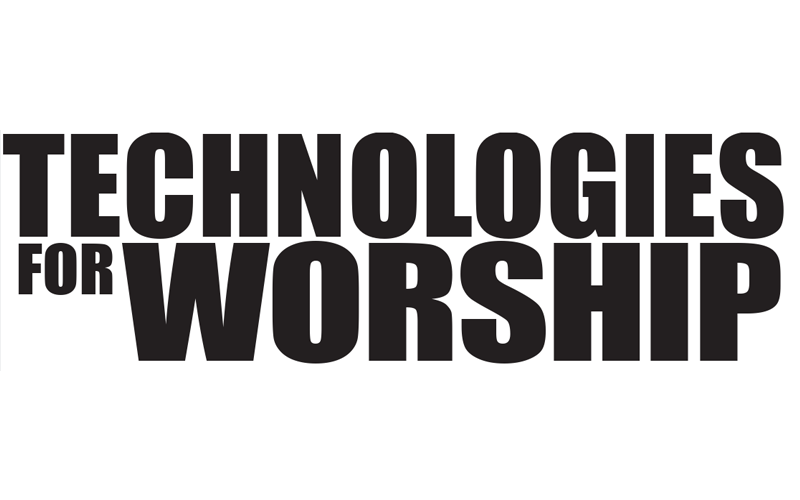 Professional conferences like The Inspiration Conference, sponsored by Technologies for Worship magazine. Professional organizations like the National Religious Broadcasters in Manassas, Virginia. Ask a church or ministry with a media outreach you admire. Inquire at Christian colleges; they often have Communication Departments with majors in radio, television, and multimedia. Just because your brother-in-law loves your ministry and is a loyal family member doesn’t mean he’s the best person to help you build an effective and successful media outreach. Find Godly people who have a genuine calling to reach the world through media. Not only can they help you save money and time, they can also make a dramatic difference in the success of your media ministry. Post these “7 Keys” in your office to remind you of your commitment to principles that will help launch your media ministry into the age of convergence and keep you focused on your goal. If you will stay near the heart of God in your decision making, and seek the help and counsel of both Godly men and women, as well as experienced media professionals, your chances of success will be greatly increased. Remember what we discussed in Key #1 – it hasn’t changed from the time Hebrew storytellers sat around campfires in the desert telling the stories that became the Old Testament.